Today was the day ohiopotogrl could give blood again so we went to Dayton Community Blood Center. I always enjoy going with her because the staff is so friendly. 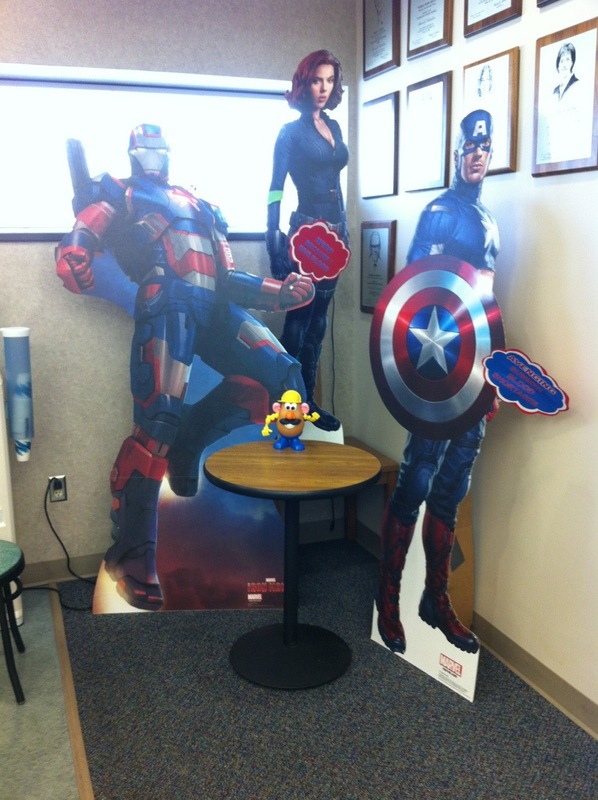 But the really cool part was I got to meet Captain America. Also some of the other Justice League! They told ohiopotogrl she’s a hero for giving blood. She got a call last week saying a child at Children’s Medical Center received her last donation. I’m very proud to call her my friend. You too can donate. 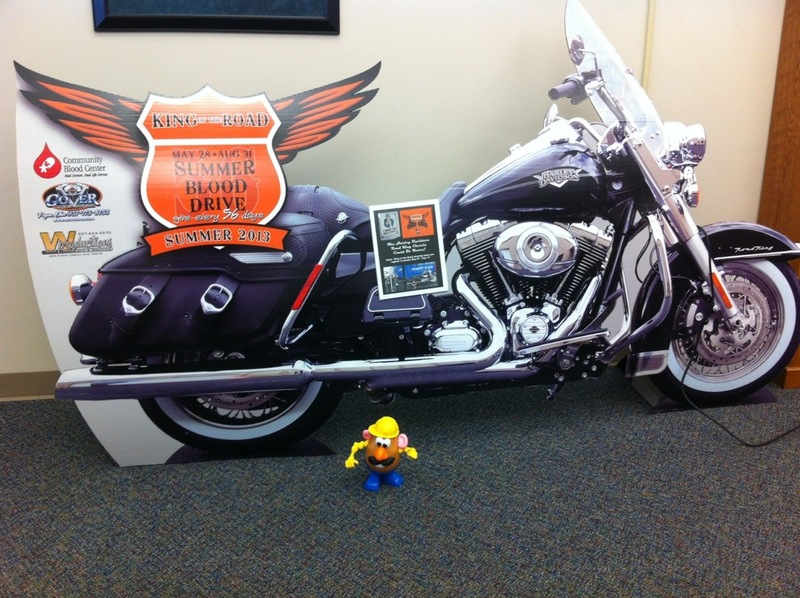 Stop by the blood center today and get registered for the Harley. It only takes about an hour or less and you too can save three lives today. Oh yeah did I mention you get a cool T-shirt and cookies when your done! This entry was tagged 365, blog, fun, giving blood, harley, kid friendly, laugh, Mr. 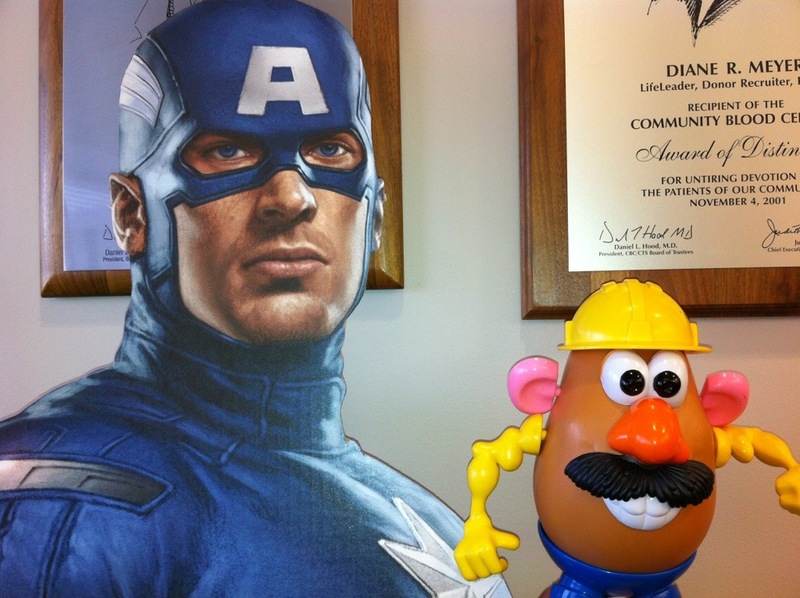 Potato Head, muse, picture a day, saving lives. Bookmark the permalink.